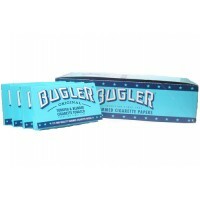 Bugler Rolling Papers 24 Books In A Box With 115 Leaves Per Book Bugler Gummed Paper 24 pa.. Elements Ultra Thin Rice Papers Magnet Pack -Size: 1 1/4. 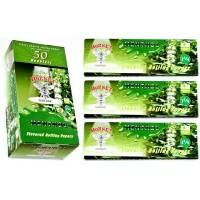 25 Packs In A Box With 50 Leaves Per .. 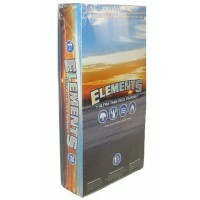 Elements King Size Ultra Thin Rice Papers. 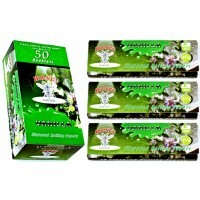 1 Box Contains 50 Packs With 33 Leaves Per Pack. 1ct. ..
Hornet 1 1/4 Banana Flavored Rolling Papers. Box Contains 50 Booklets. 1ct. ..
Hornet 1 1/4 Blueberry Flavored Rolling Papers. Box Contains 50 Booklets. 1ct. ..
Hornet 1 1/4 Grape Flavored Rolling Papers. Box Contains 50 Booklets. 1ct. ..
Hornet 1 1/4 Green Apple Flavored Rolling Papers. Box Contains 50 Booklets. 1ct. ..
Hornet 1 1/4 Honey Flavored Rolling Papers. Box Contains 50 Books With 50 Leaves Per Book. ..
Hornet 1 1/4 Mellow Mango Flavored Rolling Papers. Box Contains 50 Booklets. 1ct. ..
Hornet 1 1/4 Menthol Flavored Rolling Papers. Box Contains 50 Books With 50 Leaves Per Book. ..
Hornet 1 1/4 Strawberry Flavored Rolling Papers. Box Contains 50 Booklets. 1ct. ..
Hornet 1 1/4 Vanilla Flavored Rolling Papers. Box Contains 50 Books With 50 Leaves Per Book. ..
Hornet 1 1/4 Very Cherry Flavored Rolling Papers. Box Contains 50 Booklets. 1ct. ..
Hornet 1 1/4 Watermelon Flavored Rolling Papers. Box Contains 50 Booklets. 1ct. ..
Job 1 1/4 Papers 99 Cent Tub. 100 Papers In A Dispaly. ..